Reverb bundle containing the classic LX480 Complete and the professional VSR S24 reverb. 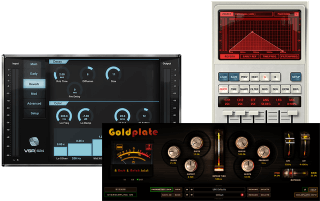 Reverb bundle containing the classic LX480 Complete, VSR S24 professional reverb and the Goldplate reverb. 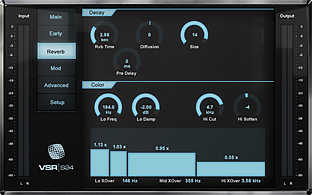 Besides an accurate emulation of the hardware, the LX480 Complete plugin introduces higher density modes and functions. Includes all the reverb algorithms from the original hardware. 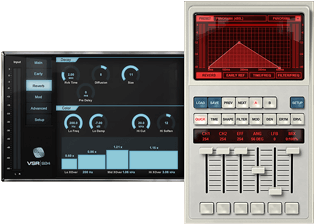 Besides an accurate emulation of the hardware, the LX480 RHall plugin introduces higher density modes and functions. Includes the Random Hall algorithm from the original hardware. VSR S24 is an stereo emulation of an iconic high-end algorithm for both music and post productions. The VSR S24 can completely change the overall spaciousness, color and reverb characteristics to simulate any environment accurately. Goldplate marries Relab’s gorgeous, silky smooth reverberation tails with Kush’s plush harmonic shaping and fat compression curves, tying it all together in a signature ubk interface. 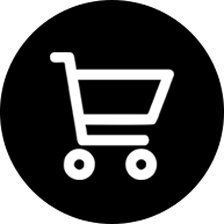 Clicking on “Your Cart” button you will be redirected to cart content where you can validate your purchase and proceed to checkout.